Italy's prime minister has said any foreign military intervention in Libya would not resolve the latest conflict in its former colony, warning that it might trigger a refugee exodus across the Mediterranean. Eastern-based Libyan forces led by Khalifa Haftar are advancing in a push to seize the capital, Tripoli, but troops loyal to Prime Minister Fayez al-Serraj's internationally recognised government have so far kept them at bay. 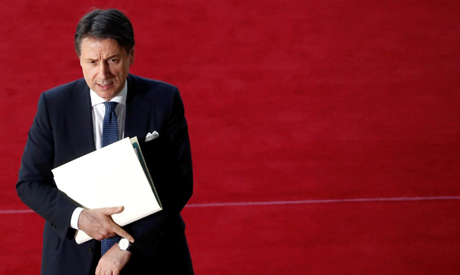 "A military option cannot be a solution," Italian Prime Minister Giuseppe Conte told daily Il Fatto Quotidiano newspaper in an interview published on Saturday. Italy, which is a big player in the oil sector in the troubled North African country, has supported al-Serraj's government. "There is a serious risk that a humanitarian crisis mounts," he said.